These adapters allow the use of 6-bolt rotors on Shimano’s Centerlock hubs. We’ve got two versions: one for use with a standard Centerlock lockring (BR0381), and the other with a pinch bolt for hubs that have buggered threads (BR0380). way to go! 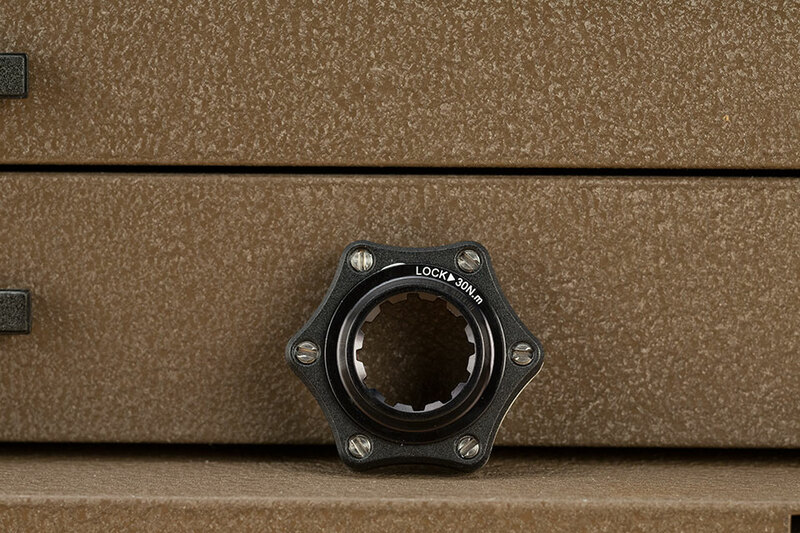 For easy installation of our pinch bolt adaptor (BR0380) use a cassette lockring installed over the adaptor to push it all the way onto the hub, then tighten the pinch bolt to proper torque. Next, remove lockring and install your rotor. This method helps ensure proper adaptor and rotor alignment. The pinch bolt adaptor (BR0380) not recommended for use with DT Swiss, Mavic Crossmax SLR, Shimano XTR WH-965, Shimano XT WH-765, or Shimano Saint Centerlock hubs.